If you hate cute things, now is the time to look away. This picture combines two of the most adorable things in the world, and they're napping while holding hands. HOLDING HANDS. It's almost too much. This picture is especially cute because the cat pictured is reckless and wild most of the time. 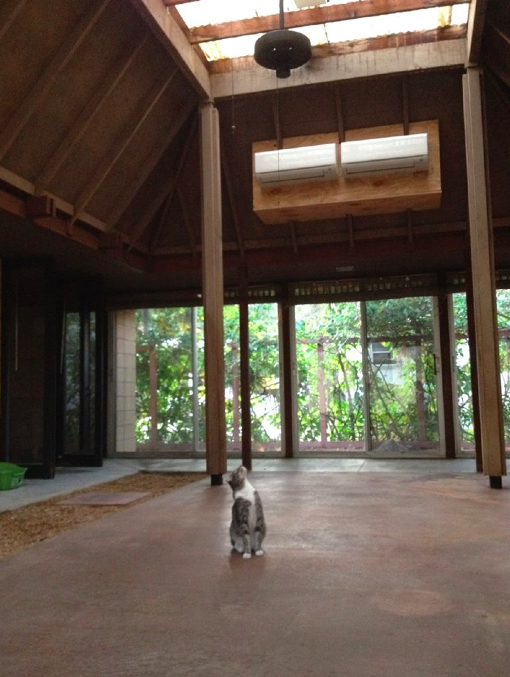 Here he is trying to figure out how to escape from the atrium. The ceilings are like 20 feet high, but he is going to keep trying. As they say in the South, bless his heart. I vaguely remember that once upon a time, this blog revolved around food and running more than it did around cats and DIY. I'll get back there, probably. We'll see. For now, I'm enjoying not training for anything, running whenever I feel like and enjoying multiple guilt-free rest days whenever it rains/is too hot/my shakras are not properly aligned. I have many, many excuses. 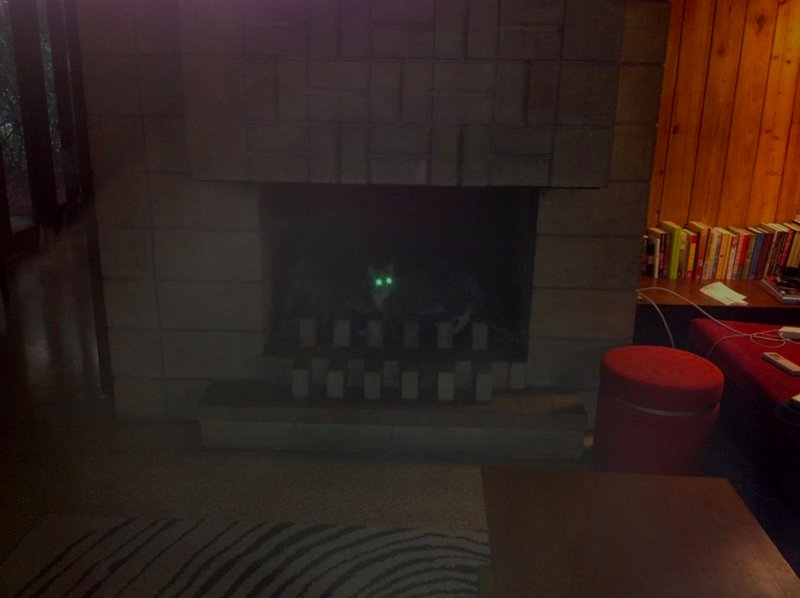 love the demon cat, everyone should have one of those in the fireplace! Awwwwww that first pictures it too adorable. I'm so glad everyone (including the cats!) is enjoying the new home. Nice, back on the East Coast!